The Tar Heels have now won eight-straight games at home dating back to last season. 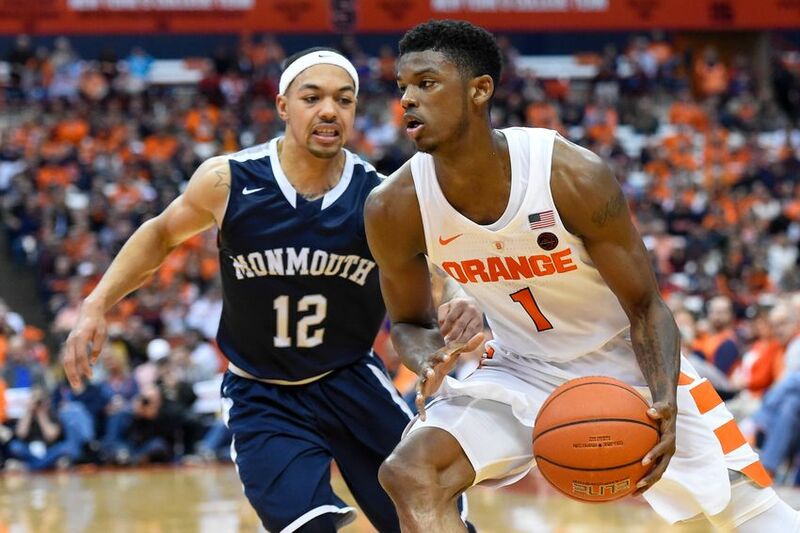 Can they make it nine against Monmouth? What do the Hawks bring to the table? Now that is how you follow up a loss. The North Carolina Tar Heels came out and crushed Northern Iowa to the tune of 85-42. That includes holding the Panthers to all of 16 points in the second half. Kennedy Meeks had two more points than that for the game as he finished with 18. Up next is another mid-major home game against Monmouth. The game will mark the last non-conference game of the season for the Tar Heels as they gear up for the important ACC play beginning Saturday. What do the Tar Heels need to know about the Hawks? Head Coach: King Rice. Career Record: 89-87. This is Rice’s sixth season with the Hawks and his first head coaching stop. After winning only 33 games in his first three seasons, Monmouth won 46 the past two. Rice has never made the NCAA tournament with Monmouth, coming his closest last season. Rice is best known as a former Tar Heels point guard under Dean Smith. For those of you out there over the age of 35 you might remember the former point guard leading Carolina to a final four in 1991. Conference: The Hawks play in the Metro Atlantic Athletic Conference. Last season they went 17-3 and finished first in the conference. They were best known for their bench who did wild antics on the sideline during games. They lost in the MAAC championship game and were relegated to the NIT. There they lost to George Washington in the second round. Best Former Player: Chuck Martin. Monmouth has had several distinguished alumni, just many of them did not play basketball for the Hawks. He previously was head coach at Marist where he led the Red Foxes to a 41-117 record in five seasons. Martin is currently an assistant coach for Indiana. In his time as an assistant Martin has coached under Tom Crean, John Calipari, and Brusier Flint. Those three coaches are a combined 1304-692 for a winning percentage of .650. That’s not a bad resume for an assistant coach. This Season: Currently this season the Hawks are 10-2. They are averaging over 80 points a game and have scored over 90 in three of their last six games. Monmouth is also 4-2 on the road this season. Though one of those losses was a 21 point blowout at fellow ACC opponent Syracuse. Justin Robinson is the Hawks leading scorer and assist man. He also leads the team in steals and minutes played. His assists per game is almost as good as the next three players combined. At 5 foot 8 though he will need all the help he can get as UNC’s shortest player checks in at 6 feet. Meeks had a big game against the Panthers. The Tar Heel big man finished with 18 points and eight rebounds in just 20 minutes. He also shot 6-9 from the free throw line, his most free throw attempts of the season. Meeks was helped by the Panther’s only interior man being only 6 foot 9 and in foul trouble early (he only played 13 minutes against the Heels). 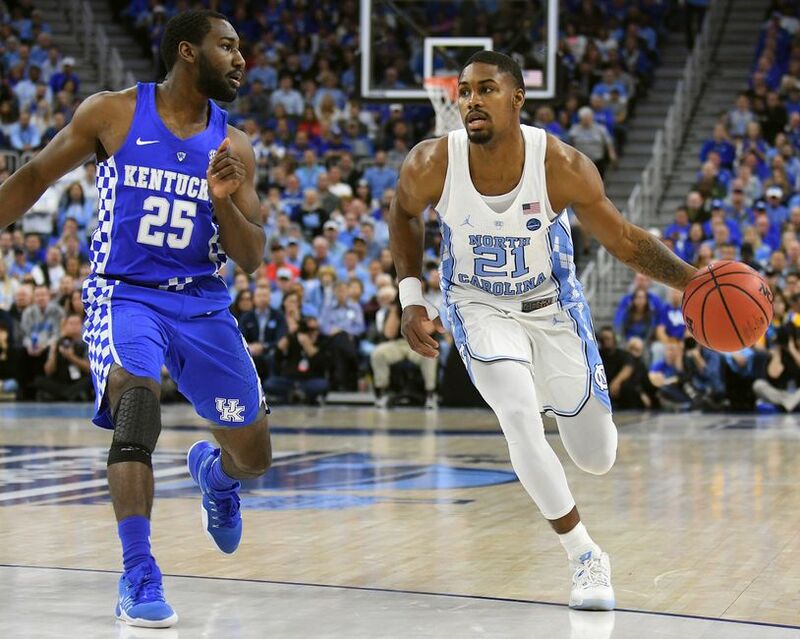 Still, it was a good performance out of Meeks who fouled out against Kentucky and had struggled in his past three games. Ibiezugbe, who reigns from Connecticut by the way, has not been overly impressive this season for the Hawks. In only 86 total minutes this season, the freshman forward is averaging only 1.5 points and 2.1 rebounds per game. However, he is second on the team in blocks. Also at 6 foot 11 he is the Hawk’s tallest player and could be needed early if starting center, senior Chris Brady, gets in foul trouble early against the Tar Heels big men. In the game against Northern Iowa Seventh Woods only played six minutes. It is what he did in those six minutes that earns him a mention here. In his short time Seventh Woods shot 2-5 from the field for four points, three rebounds, two steals, and one assist. Just to put that in perspective if Woods had carried that line over 20 minutes he would’ve finished with 13 points, 10 rebounds, 7 steals, and three assists. In other words, he did a lot with the time he was given. If Woods can continue to be productive while getting more minutes, it would help ease some of Tar Heels fans concerns about the lack of depth at guard. It would also make the team better when Theo Pinson returns and allow Berry to get more rest before the end of the season. Can Monmouth keep up with the Tar Heels? Monmouth likes to run. Of course they do. Their Head Coach is a former Tar Heels guard. The problem is North Carolina likes to run to. So far teams that have tried to get into a track meet with UNC have not done so well. Can the Hawks break the spell or be added to the curse? Can North Carolina sustain their defense for two halves? What UNC did against Northern Iowa was ridiculous. Not only did they hold the Panthers to 16 points, but they scored 52 points themselves. Northern Iowa shot 6-23 in the second half for a line of 26 percent. That includes going 1-13 from behind the arc for an abysmal 7.5 percent. If the Tar Heels could do this for a full game they would be unstoppable. The first task will be taking what they did in the second half against the Panthers and carrying over to the first half against the Hawks. Will the Seventh Woods Highlight reel continue? If you turned off the game before the end of the second half you missed something special. Seventh Woods dunked the ball. Not just once, but twice within ten seconds. Both came off steals and neither was super impressive, though the first one was a one handed flush. This is a rare thing, so much to the point I really thought they were his first two dunks of the season (the first one came against Radford). If you did miss it, don’t feel too bad. Roy Williams missed the second one as well. Monmouth is not your typical Mid Major. Unlike Northern Iowa, the Hawks have 10 wins on the season and their two losses were both road defeats. One of those defeats was a one point loss to a South Carolina team that won eight in a row to start the season. 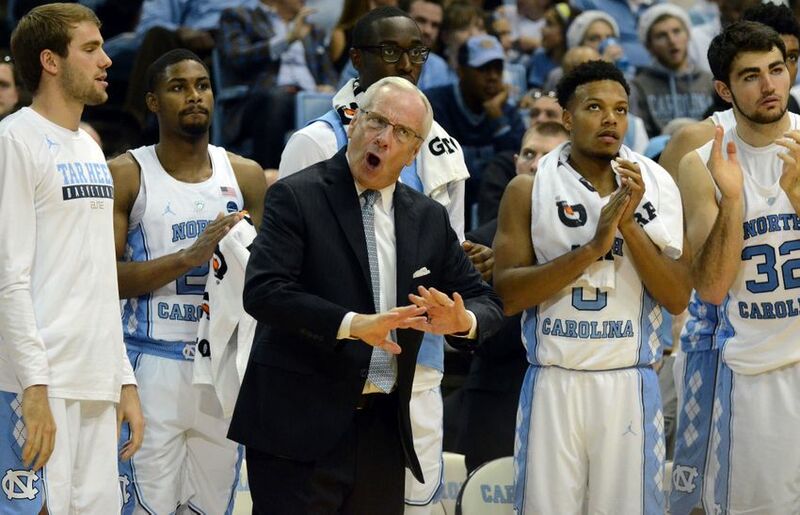 If UNC isn’t focused, Tar Heel fans should be thinking Davidson game more than Northern Iowa. Final Score: 93-71 UNC over Monmouth. Monmouth’s bench brings the fun. UNC’s bench brings the pain. In a talent show I would take the Hawks. In a basketball game I am picking the Tar Heels to win big as they build off the defensive second half against the Panthers.